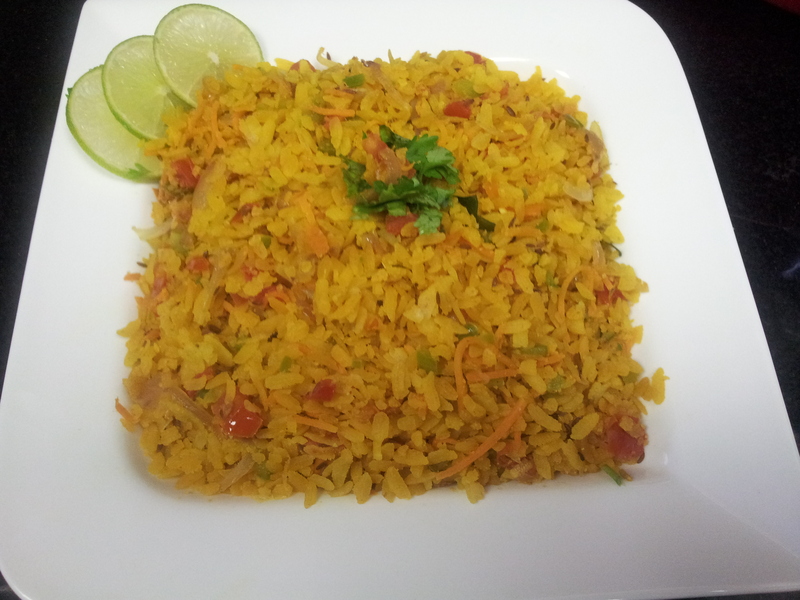 This popular breakfast dish is made using flattened rice flakes also known as poha. These swell when water is added at room temperature as they are super absorbent. Having born and brought up in Mumbai, I have had any variations of this yummy easy to make, light to digest snack. I have listed here the recipe my mother used to cook for us on Sunday mornings. 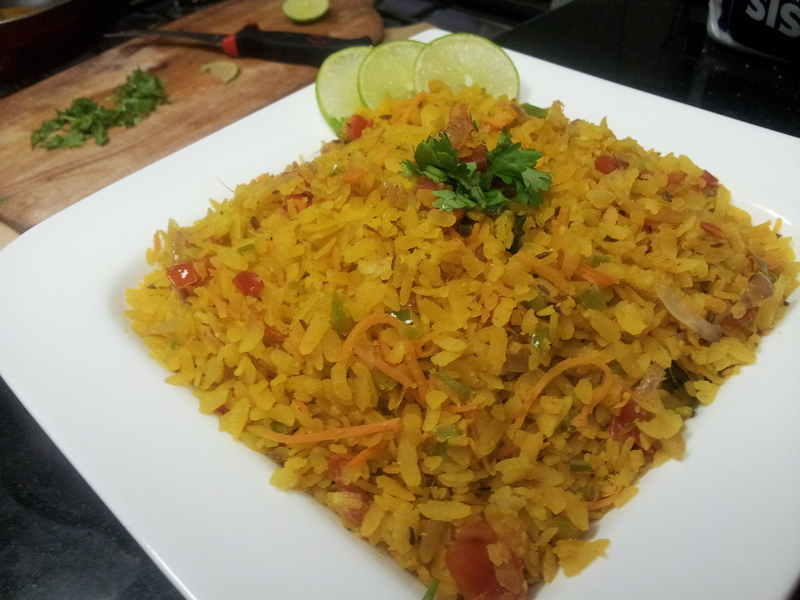 Traditionally the dish is called “Kande Pohe” i.e. 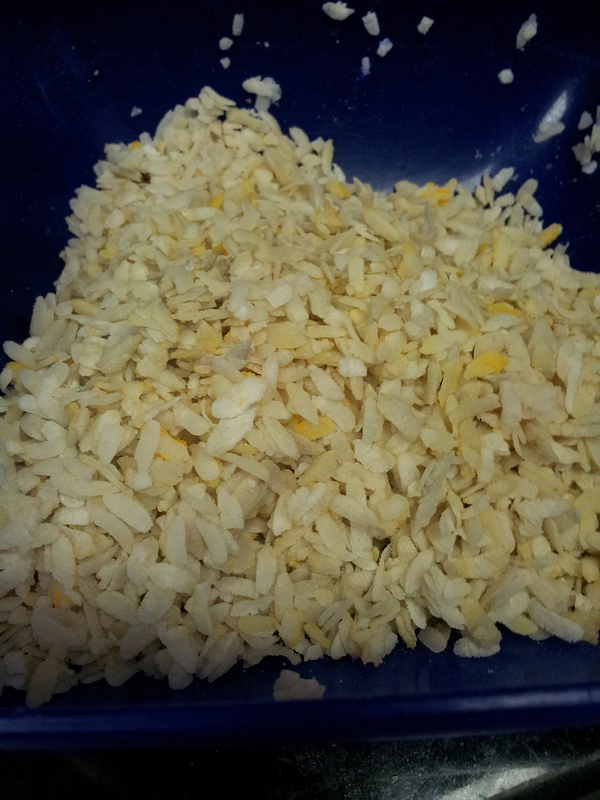 Flattened rice flakes cooked with spices and thinly sliced onions. However my mother used to add lot of veggies so that we get our fill our nutrients. My brother was a fussy kid when it came to eating vegetables hence mum smuggled it into our lunch boxes by way of Pohe. She used to make a smiley face using tomato ketchup to distract my brother, so that he did not end up weeding out the veggies. 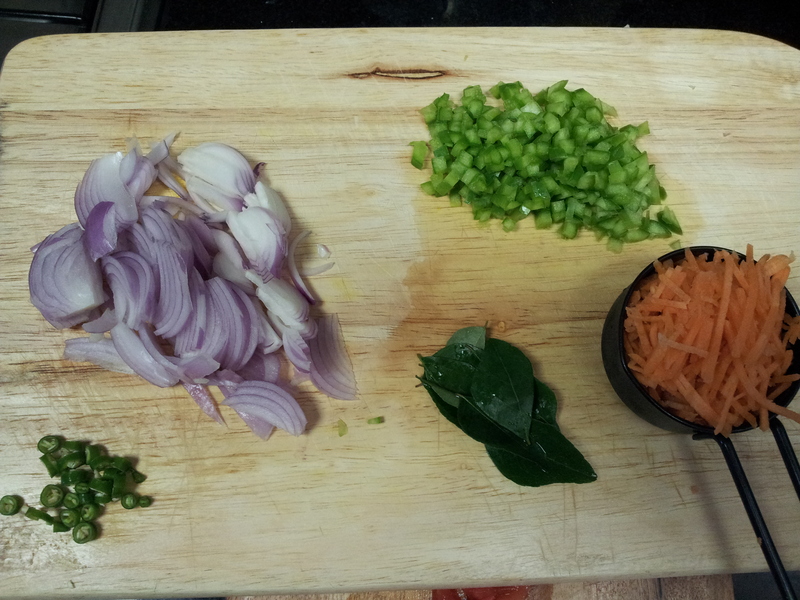 She used to dice the veggies, I have used finely chopped and shredded versions of the same. I have skipped french beans in the recipe. I hope you like it. Sprinkle water on the poha and mix it well and keep it aside for 20 minutes. Use water only to coat the poha well. 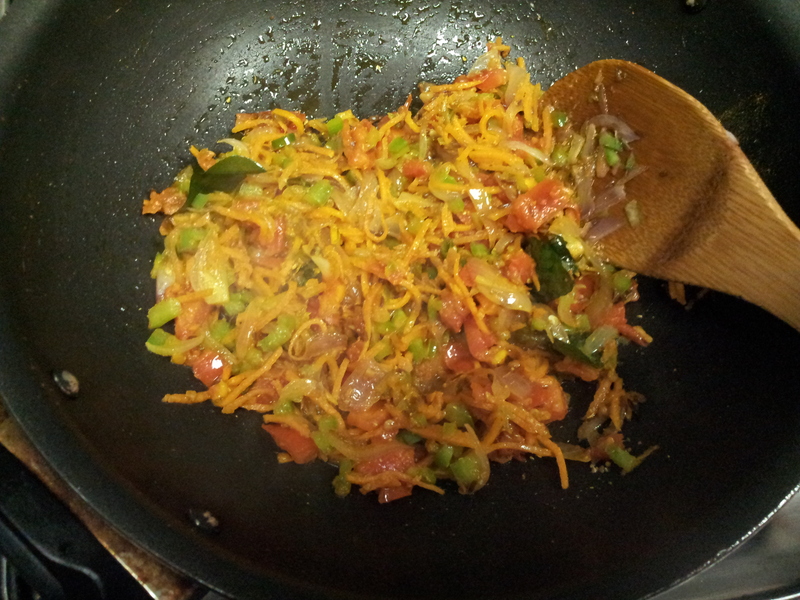 Add 1/2 tsp salt and 1/4 tsp turmeric powder to the poha and allow it to bloom. This is how it will look after this step. 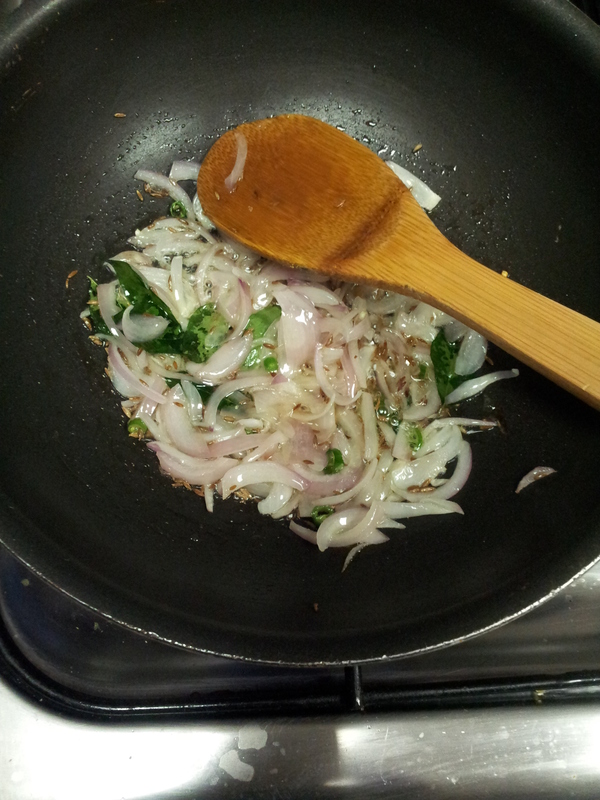 In a pan, heat oil and add cumin seeds, curry leaves and green chillies. Once they start popping add onions. Cook onions until they are translucent and have a pale pink color. 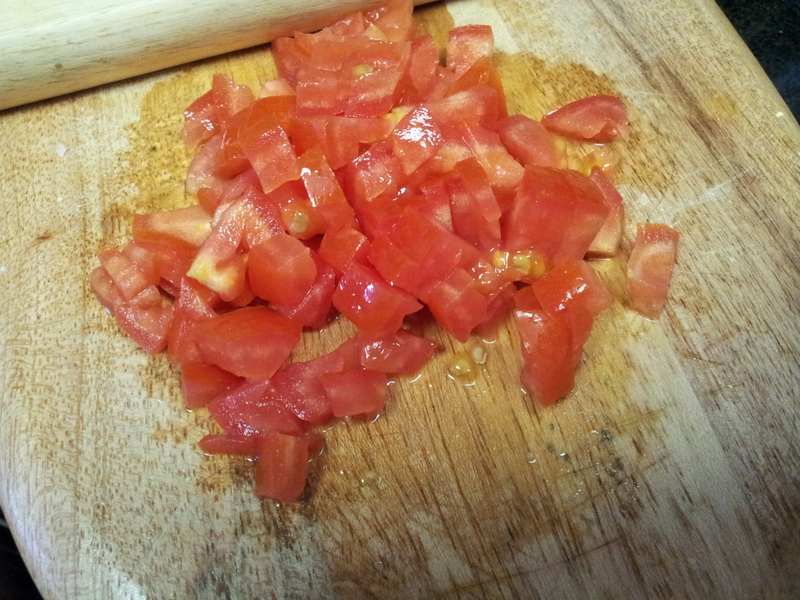 Add tomatoes, cook until they are soft but let them not reach them to a level where they look mashed. 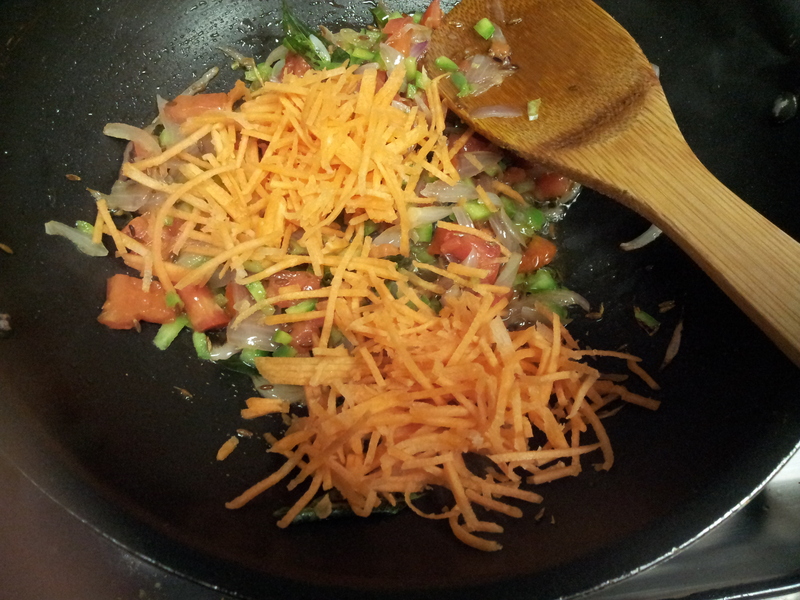 Add capsicum and carrot together and mix well. Now time to spice up things, add 1/2 tsp salt followed by all the spices. Mix well and let the mixture cook for 2 minutes. 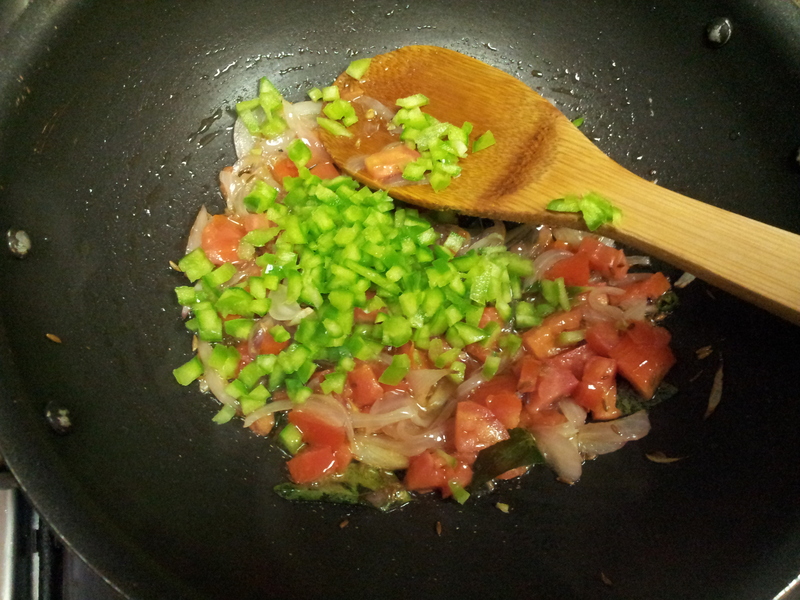 Now add the poha and fold it in the vegetables lightly. Cook on medium heat for 2 minutes. 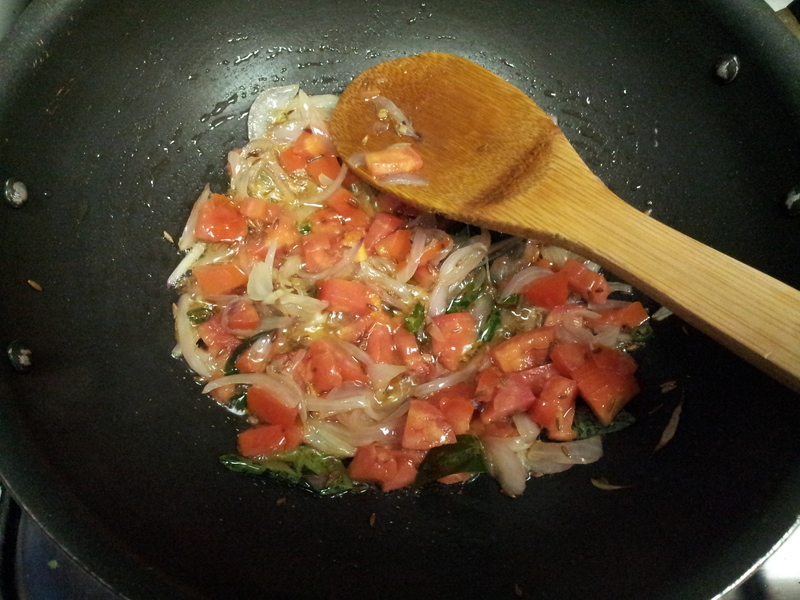 Turn off the heat and add juice of 1 seedless lemon and finish it with finely chopped coriander leaves. Serve hot with toasted bread with garlic butter and masala chai. This is a perfect and easy breakfast option to feed when you have guests.